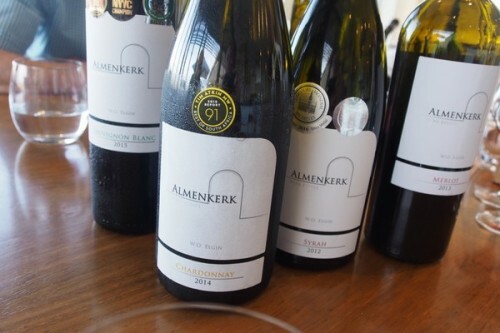 Almenkerk began when Joep van Almenkerk moved out to South Africa from Belgium in 2002 and bought a 32 hectare apple farm. 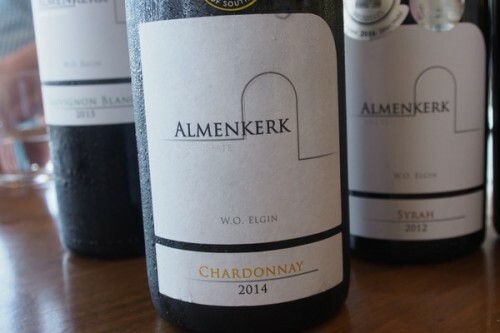 He wanted to turn it into a wine farm – apples were bad business at the time and the region was looking very promising for grapes – and he asked his son, Joris, to run it. The farm is currently run by Joris and his wife Natalie, and they’re a dynamic couple, doing a really good job here. I had great fun hanging out with them over the weekend. 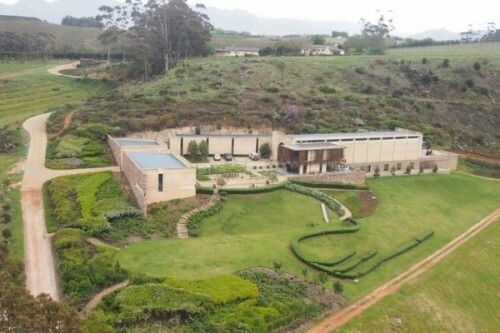 Elgin is the only wine region in South Africa completely surrounded by mountains. The mountain ranges that fringe it like the rim on a saucer are made of table mountain sandstone, while inside the valley it’s mostly decomposed shale. 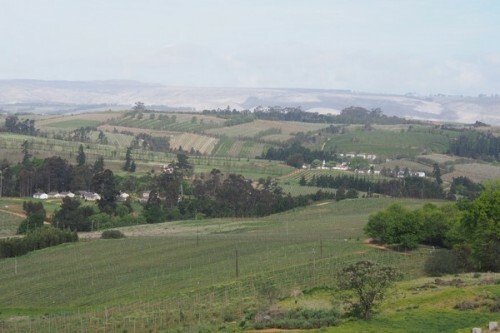 There are 7000 hectares of farming land in the valley, with 6000 hectares of orchards (mostly apples, some pears), which at the moment are making good money. 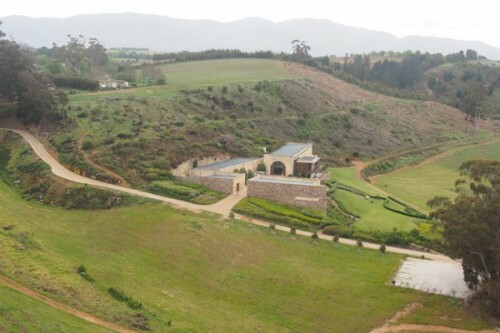 There are just 800 hectares of vineyards, with vines disappearing. ‘If we weren’t passionate about what we do, we’d just rip out vines and plant orchards,’ says Joris.